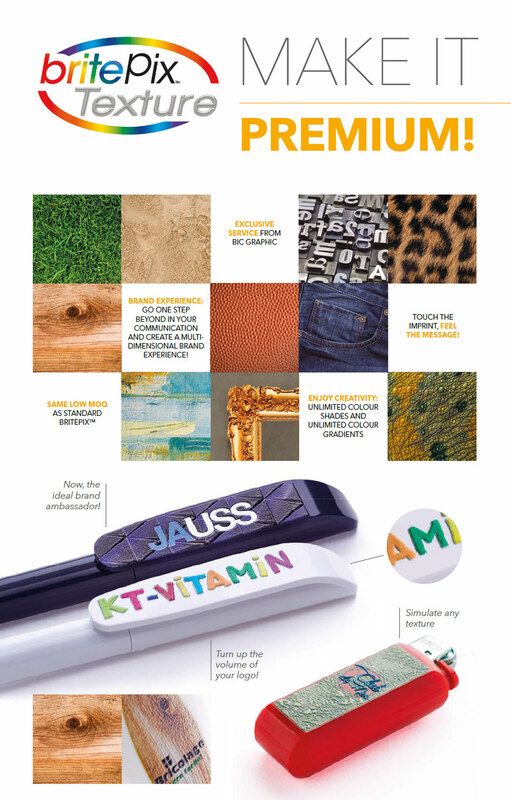 BritePixTM Texture is a premium new addition to our britePixTM printing concept – now not only you can see the full color, YOU CAN ALSO FEEL IT! By using britePixTM Texture, we are offering you a way to simulate any desired texture on a product or emphasize a certain part of your logo or artwork and make a much stronger statement with your brand. Stylus pens a must have nowadays!